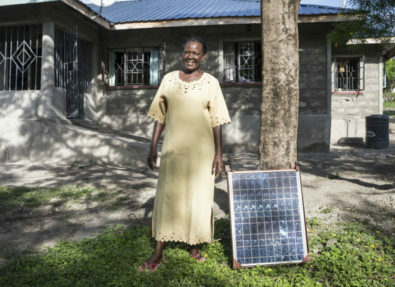 Hosted by Hivos since 2016, ENERGIA wants to contribute to universal, equal and equitable access to and control over sustainable energy for all, putting women at the center of its efforts. 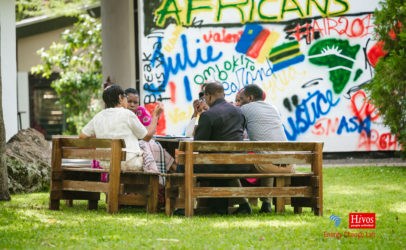 Bangladesh, India, Indonesia, Kenya, Nepal, Nigeria, Rwanda, Senegal, South Africa, Tanzania. Women and men’s energy needs and uses differ, as do their levels of access to it. Even where infrastructure is physically available, the poor and women often lack the means, information, or training needed to access energy. Moreover, institutional structures often benefit men, who often are the decision-makers regarding energy products and services that are mostly used by women, such as for cooking. Worldwide, roughly 1 billion people still live without access to electricity and 3 billion still cook on traditional stoves that cause indoor air pollution and kill 4.3 million —mostly women and girls —each year. At the intersection of gender equality and clean energy access, women cannot be held back. raise awareness and enhance knowledge of issues related to gender and energy through networking and knowledge products. More than 4,000 women entrepreneurs are engaged in ENERGIA’s Women’s Economic Empowerment Program. Thanks to their sale of over 450,000 units of clean energy products, 2.6 million people now have access to energy. Advocacy efforts have contributed, amongst others, to shaping UN Women and UNEP’s flagship program: “Women’s Entrepreneurship for Sustainable Energy”. The Research Program to date has produced over 60 articles, blogs and other publications which have been shared widely. Gender Mainstreaming efforts in Benin, Ghana and Liberia have resulted in gender audits and the development of gender action plans in governmental institutions. 30+ partners worldwide, including NGOs, research institutes, social enterprises, networks and government organizations. Donors: Swedish International Development Cooperation Agency, UK Department for International Development, Norwegian Agency for Development Cooperation and the Dutch Ministry of Foreign Affairs, Directorate General for International Cooperation, the Asian Development Bank and the Millennium Challenge Corporation.